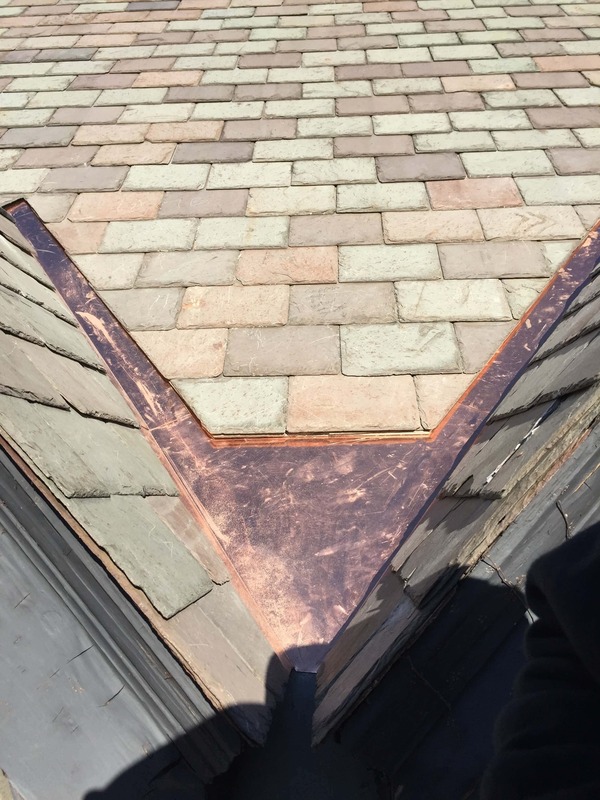 Renaissance Roofing specializes in restoration and repairs of your slate roof. We can match your size and color to blend in seamlessly so repairs are unnoticeable. 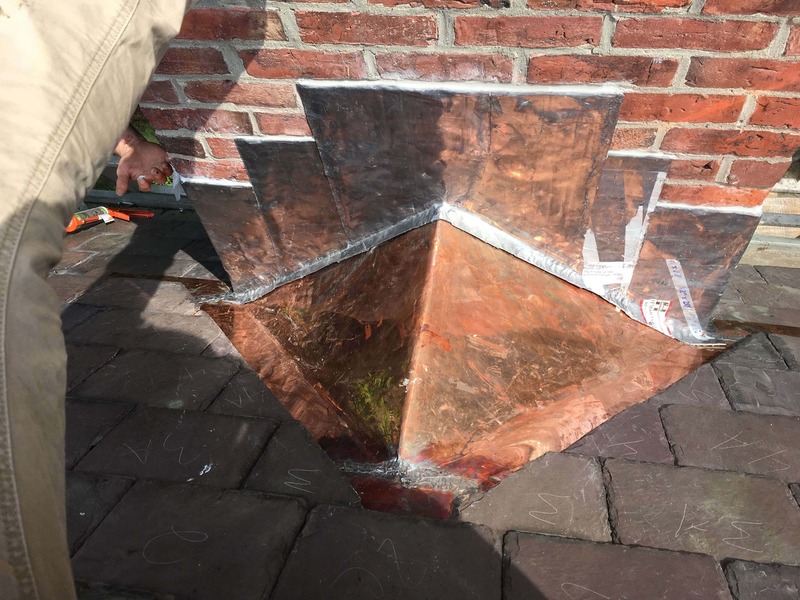 Other repairs include new flashings, snow retention systems, gutters and more. 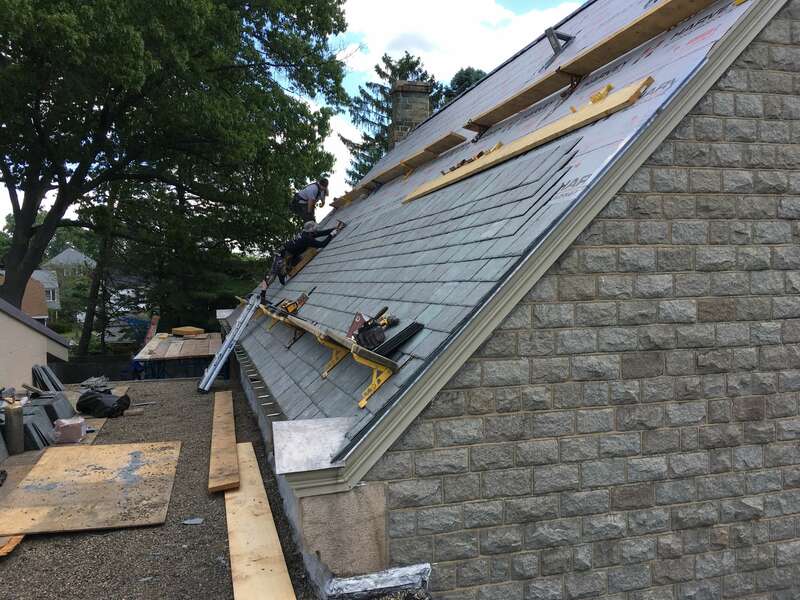 What sets Renaissance Roofing apart from others is our thorough knowledge of and vast experience with slate roofing. 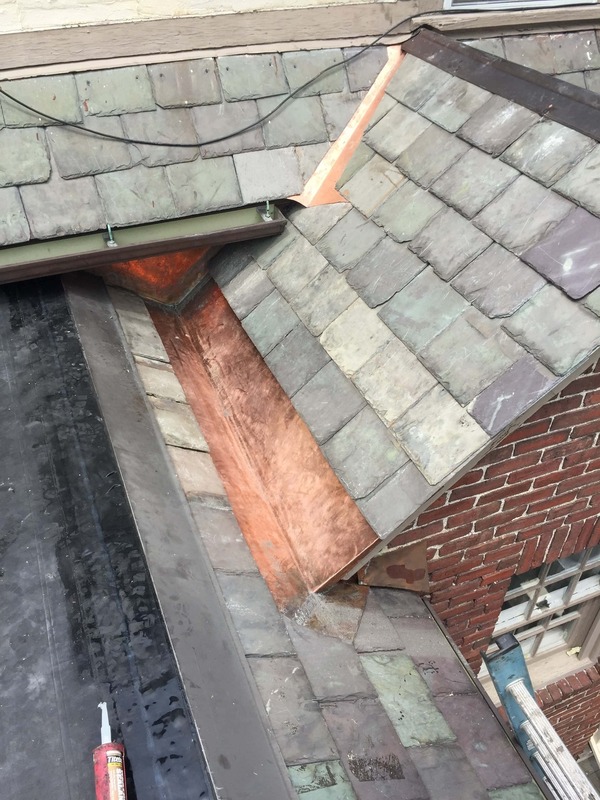 We work on hundreds of slate roofs every year, and we have seen and repaired just about anything concerning a slate roof! 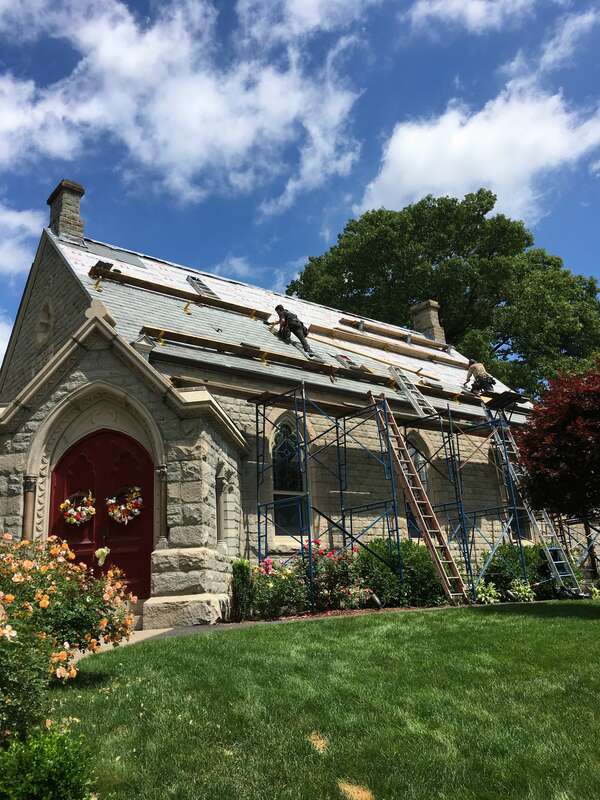 In addition to repairs and restoration, we also install new slate roof systems for your home or business. We can work with you to determine the best system for your needs that is both functional and beautiful. We are also buyers and sellers of slate roofing. 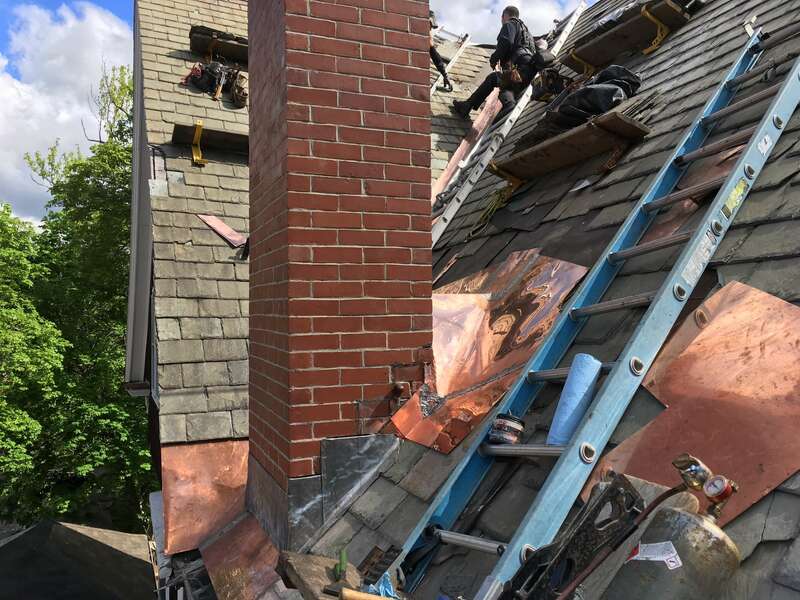 If you are removing your old slate roof, and the slate has been removed correctly and is still good (sound and hard), we can buy the slate from you , or we can remove it for you and salvage them for future use. We can also locate slate for your next project if you are currently working with a contractor, or are doing the work yourself. 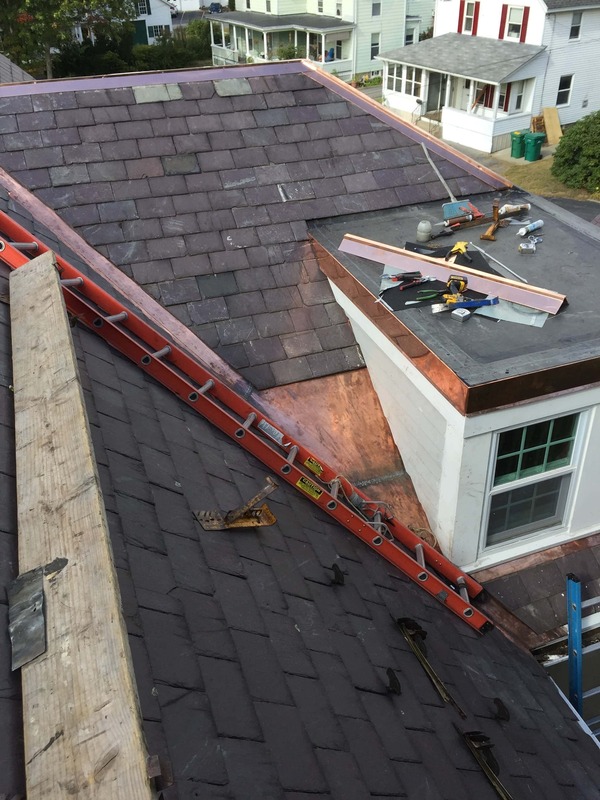 Renaissance Roofing is a complete roofing company providing slate roofing services to all of RI and nearby MA.